"Diane is a real credit to her profession! A real pleasure to work with." "We came to appreciate her as a person of trustworthiness and good character." "We were both impressed with the manner in which Diane was able to connect with our needs and share relevant information accordingly." "Diane went out of her way to help sell our house and find a new one. She was always available for us. If all agents are like Diane I can’t think of how to serve people better. What a great experience, we will always use Diane." "Diane was absolutely wonderful to deal with." "I would fully recommend Diane." "Diane handled everything through my Mom’s passing and sale of her condo with sensitivity, support, efficiency and provided services to ease our stress. Diane is a wonderful person and agent. It was a pleasure to have her represent us." "She was always available, kept me up to date with all info and worked within and outside business hours to expedite the sale. She also managed to bring 10% over original asking price. I couldn’t be more pleased with the effort and work ethic of Diane." "Diane’s marketing plan was very good and professional negotiating was impressive." "Diane was very organized, knowledgeable, prompt to respond to our phone calls." "We were provided with excellence in customer service and information gathering. Diane is sensational, very professional, I trusted her from the start. Thank you Diane, I will always recommend you to friends and family." "The high degree of professionalism displayed by Diane as well as the promptness of her return communication. I felt that Diane was personally interested in the sale of the house. She answered our questions with care and concern." "Her support was amazing and we would definitely love to work with her again...although the house we found is so perfect, it may be decades before we end up selling it!" "Keep employing individuals like Diane, top class in her field. 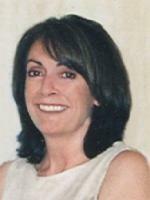 If anyone were to discuss selling or buying with me I would tell them to use Diane to get the best service possible." "High regard for her professionalism and knowledge of my area marketplace. Top drawer. Very solid, capable agent. Committed to client’s interest." "Professional and ethical. The service has been perfect!" "Diane goes above and beyond to meet and exceed your every need". "Diane is a very sensitive and classy realtor. She worked very hard for a very long time on our behalf and used all resources possible to represent our best interests. You are very fortunate to have a person of her caliber working for you. She is genuinely personable while being simultaneously the ultimate in professional. A great combination when so much is on the line." "Diane sets the bar high for other agents to do as well as she does for us". "Diane went beyond our expectations and we felt she had our best interests at heart". "Very professional and extremely helpful".